Oliviero Roggi is a professor of Corporate Finance, University of Florence and NYU Stern. He earned his Ph.D in Management and Finance at University of Bologna and City University Business School European Joint Ph.D program in 1998. Visiting Researcher at City University Business School from 1998 to 2000, he has been appointed Assistant Professor in Corporate Finance in 2000. He is Professor of Corporate Finance at University of Florence since 2004. Founder of the Finanza Firenze Research Center in 2007. 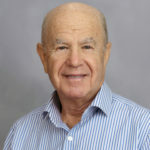 In 2008, together with Edward Altman – NYU Stern Salomon Center, he also founded the International Risk Management Conference. In 2008- 2009 he served as Visiting professor in Accounting Masters Program at Universidade de Fortaleza (Brasil). Consultant at European Commission, Regione Toscana (Italy) and other public owned entities is acting and doing research in the area of Enterprise Risk Management, and in particular Credit Risk since 2004. 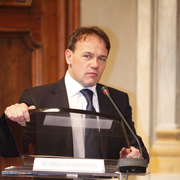 Member of the Scientific Committee of the Country Risk Forum of Associazione Bancaria Italiana (ABI – Italian Bankers Association). He has published papers and books on SME rating and on rating models generally speaking. In 2009, he published a book on “Risk Value and Company Default”. He is Co-author of Aswath Damodaran, NYU STERN, for the forthcoming 3° Italian edition of Applied Corporate Finance and he is NYU Stern Visiting Scholar since 2009 and consultant at IFC World Bank group since 2010. Edward I. Altman is a Max L. Heine Professor of finance and the director of research in Credit and Debt markets at the Salomon Center for the Study of financial institutions at the New York University Stern School of Business. Dr Altman received his MBA and PhD in Finance from the University of California, Los Angeles. Prior to serving in his present position, he chaired Stern’s MBA program for 12 years. Dr. Altman was named to the Max L. Heine endowed professorship at Stern in 1988. Internationally recognized as an expert on corporate bankruptcy, high yield bonds, distressed debt, and credit risk analysis. He served as President of the Financial Management Association in 2003, and was appointed an FMA Fellow in 2004. Dr. Altman was named one of the most influential people in Finance by Treasury & Risk Management magazine in 2005, he is a Founder and Executive editor of the international publication and has published or edited many books and articles in scholarly finance, accounting, and economic journal. His work has appeared in many languages including French, German, Italian, Japanese, Korean, Portuguese and Spanish. He has been Chairman Emeritus and a member of the Board of Trustees of the Interschool Orchestras of New York, and a founding member of the Board of Trustees of the Museum of American Finance. Prof. Menachem Brenner‘s primary areas of research include derivative markets structure, option pricing, inflation expectations, auctions, market efficiency and liquidity. His articles have appeared in leading journals in finance and economics including the Journal of Finance, the Journal of Financial Economics, the Journal of Business, the Journal of Political Economy and the Journal of Monetary Economics. In 1986, he co-invented (with Prof. Galai) the volatility index based on the prices of traded index options and introduced the idea of volatility derivatives, an idea which was implemented 20 years later. He has written more than 60 scholarly articles in diverse areas in finance and economics. 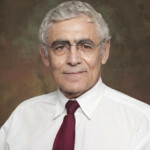 Professor Brenner was a founding editor of the Review of Derivatives Research and has served on several editorial boards and program committees. He is a regular member of the Deutsche Bank Prize in Financial Economics nominating committee. He received several grants and the Graham Dodd Award for excellence in financial writing. He was also awarded Stern’s Glucksman Prize for the best new research paper in Finance. In addition to working with doctoral students and teaching the popular finance course on “Futures and Options,” he served as deputy chairman of the finance department and is currently the director of the Masters in Global Finance program, a joint venture between the Hong Kong University of Science and Technology’s Business School and NYU Stern. Before joining Stern, Professor Brenner was a tenured faculty member at the Hebrew University. He has been a Visiting Professor at Berkeley, the University of Bergamo, University of Melbourne and Tel Aviv University. Professor Brenner also served as an Advisor to the Bank of Israel, the Securities Authority and was a board member of the Tel Aviv Stock Exchange where he chaired the committee that recommended the establishment of an Options Market in Israel. He was a floor trader in options and futures at the NYFE and NYSE. 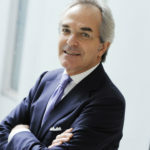 Maurizio Dallocchio is Bocconi University Full Professor of Corporate Finance. He studied at LBS –London Business School and New York University – Stern School of Business where he was also visiting scholar. He is Full Professor of Corporate Finance at Bocconi University, Milan, and has been teaching and researching around the world (CEIBS Shanghai, IMD Lausanne, Stockholm School of Economics, London Business School amongst other Institutions). Licensed Public Accountant and Auditor, he concentrates his research mainly in Corporate Finance, and particularly in Corporate Valuation, Restructuring and Mergers & Acquisitions. He is the author of more than 80 publications; amongst them, he is co-author of Corporate Finance (Wiley and Sons), one of the most popular textbooks in its field worldwide. He was chairman of the Audit Committee of the European Investment Bank (EIB). Particularly active in the not for profit sector, he is also founding partner of a consultancy firm (DGPA&Co) robustly involved in Private Equity, M&A and Corporate Restructuring. 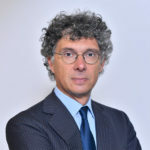 Giampaolo Gabbi is SDA Affiliate Professor of Risk Management and he is Director of Financial Institution Custom Programs – Financial Institutions. He is Full Professor of Financial Investments and Risk Management at Siena University. At SDA Bocconi, he directed the Financial Institutions and Insurance Department from 2013 to 2016 and in 2017 he was Banking and Insurance Faculty Deputy. He has directed programs for senior executives in several banks and other financial firms. He is Program Director of the courses Operational Risk Management and of Capital Management for Banks. He conducted numerous research, training and consulting projects with the most relevant players of the banking and insurance industry. He frequently manages board inductions on risk and regulatory issues. His researchactivities focus on risk management, financial investments and banking regulation. His current research addresses three main questions. The first is the impact of risk measurement models on the effectiveness of internal control systems. The second focuses on the role of the chief risk officers (CRO) on the internal governance of financial institutions. The third aims at determining the drivers and the early warning systems of the systemic risk within the financial system. He is the author of numerous books and articles on the subject. His works have been published in Journal of Economic Dynamics and Control, PlosOne, European Financial Management, Nature Scientific Reports, European Journal of Finance, Journal of Financial Regulation and Compliance, Journal of International Financial Markets and Institutions & Money, among others. He won numerous teaching and research awards, including the 2009 International Business & Economy Conference. Best paper award. He is a member of the Italian Risk Management Associations (AIFIRM) and he is chair of the Scientific Board of their Risk Management Magazine; he is Risk management Department Editor of the Journal issued by the Italian Finance Society (ADEIMF). Giampaolo earned an MSc in Economics and Management from Parma University and a Ph.D. in Management from Bocconi University.